Pictures of lights and electrical items as well as things of interest. Another Cheap Tacky Fix344 views14 commentsrlshieldjr03/16/19 at 01:43lightingfan8902: A hack job I believe? 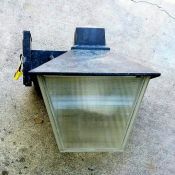 Another Cheap Tacky Fix344 views14 commentsrlshieldjr03/14/19 at 19:11lightingfan8902: What??? MH Replacement262 views12 commentsrlshieldjr03/13/19 at 21:31ZarlogH46: 6 years later, are these still up? Teardrop with CFL156 views2 commentsrlshieldjr09/27/18 at 19:16rlshieldjr: This light is gone. McGraw Edison Yard Light131 views5 commentsrlshieldjr08/26/18 at 01:39GEsoftwhite100watts: What a score! Deluxe white lamp? McGraw Edison Yard Light131 views5 commentsrlshieldjr08/21/18 at 03:31lightingfan8902: Looks great! Have you tested the fixture yet? 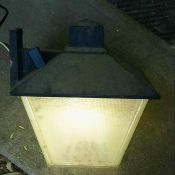 McGraw Edison Yard Light131 views5 commentsrlshieldjr08/20/18 at 02:03xmaslightguy: Thats a cool find! !